I’ve done multiple (5k) Mud Runs but never the world famous ‘Camp Pendleton Mud Run‘, which is double the length. Every year I’ve wanted to run the event its been sold out so this year I decided to register on Midnight of New Years Eve, since registration opens Jan 1st. Our run started around 8am but they recommended you get on the base up to 2-hours early to avoid traffic and find a parking space. Traffic getting off the freeway was a nightmare but thanks to a friends advice we passed our intended off ramp, got back on the Freeway going ‘North’ and quickly entered the marine base. The races were a bit delayed and as we were ushered into the starting corral, you could feel the anticipation increasing. We were finally let go and to start off the course they spray you with a huge fire hose. The run then stays mellow for the next 5 to 6 miles through some dirt trails, sand, across a river bed and up a HUGE hill. It wasn’t until the last 2-miles that the obstacles and mud pits appeared. My favorite obstacle was a lake we had to wade across followed by a huge muddy hill we had to traverse up. I’ve done a handful of 1/2 Marathons and I still haven’t ran a race that compares to the Disneyland 1/2 Marathon. Its my favorite race for many reasons including. There’s a certain positive energy in the runners that is contagious. I’ve noticed it more at this event than other races I’ve done. Celebration followed by Me and my friend John by going to to Story Tellers Cafe where I enjoyed a Farmers Market Breakfast Buffet. 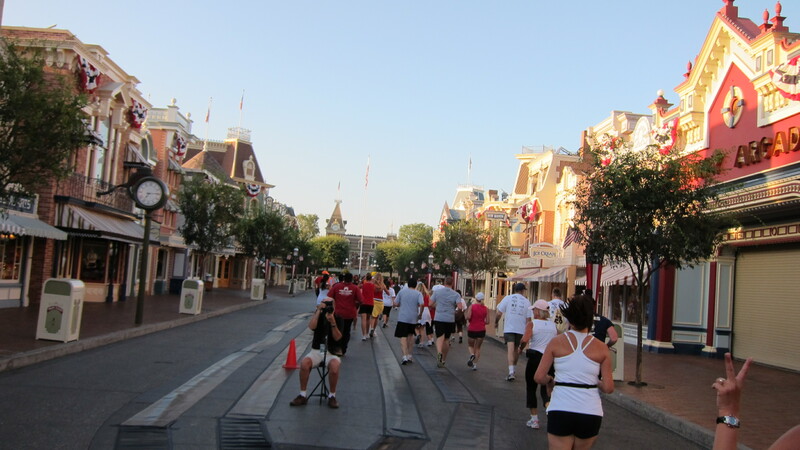 Now with the Disneyland 1/2 Marathon done, its time to start training for my next few events. If anyone else has race recommendations between now and the end of the year, let me know.